After ten seasons of mystery, Penny’s mum and brother have finally been written into the hit American TV show. The Big Bang Theory‘s elusive Penny has always kept her cards close to her chest when it comes to her family – partly though choice, partly through restrictions placed on her convict brother’s freedom and (probably) mostly because the writers could never be bothered to give her a surname with which Leonard could address her family. But in the wedding that we’ve not really been waiting for because leading lovers Penny and Leonard are already married, her mum and brother come out of hiding. Set to play Penny’s mum, Susan, is Katey Segal. 30 Rock‘s Jack McBrayer will play her brother Randall. Breaking Bad favourite Dean Norris will also make an appearance, reports Digital Spy. Considering the show boasts some of the best comedic mums in current American television (IDST) – from Howard’s overbearing matron to Sheldon’s god-fearing matriarch and Leonard’s emotionally stunted science teacher – there is a lot of pressure to perform on the Penny contingent. The characters’ success remains to be seen, but if Katey Segal’s acting experience is anything to go by, she’s well equipped to play every TV mum in history. In fact, Segal could probably play your mum better than your mum could play your mum. She played kickass mother of Jax Teller in Sons of Anarchy as well as the slovenly Peggy Bundy in hit 90s show Married With Children. 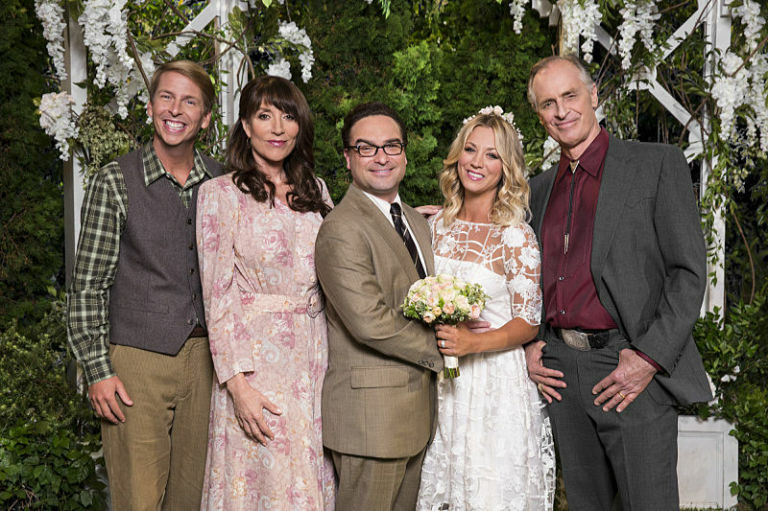 Segal even played Kayley Cuoco’s mum in 8 Simple Rules, so the casting people have it covered, putting two fingers up to any semblance of original thought. Amid speculation that this could be the last ever season of The Big Bang Theory, the first episode will premiere on CBS at the end of September and on E4 a few weeks later. Thank you Big Bang writers, for giving us the thing we didn’t even know – and are still unsure – we really wanted.